American Family Association, an anti-LGBT hate group, promotes bigotry. If AFA and other hate groups would stop marginalizing and persecuting LGBT youth then the Day of Silence would be unnecessary. A good start would be to acknowledge the indisputable scientific fact that neither sexual orientation nor gender identity are choices. Nor are they influenced by others including parents, teachers and other students. Under the false assumption that homosexual and transgender students are routinely bullied, GLSEN – for the 23rd year – is calling for students to protest by remaining silent in school on April 12, which is dubbed "Day of Silence." The GLSEN website describes the observance as "a national movement to highlight the silencing and erasure of LGBTQ students in school …"
The Day of Silence is a national movement to highlight the silencing and erasure of LGBTQ students in school, which demands that school leaders take action to be more inclusive. 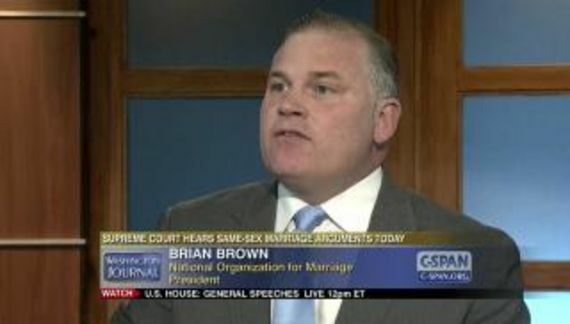 AFA and groups like AFA promote the idea that LGBT students threaten the safety of others. Laurie Higgins of the Illinois Family Institute says, in reality it's Christian students who are being bullied. "When you teach kids from young ages that theologically orthodox Christian beliefs are the very source of hatred and violence, you are the one doing destruction," she tells OneNewsNow. Illinois Family Institute is another hate group. 46 of the 47 hate groups listed by the Southern Poverty Law Center are conservative Christian organizations. Ms. Higgins is also reconstructing reality. Orthodox Christian beliefs are not the source of hatred and violence. The overwhelming majority of orthodox Christian organizations are not considered hate groups. Belief is not bigotry. Bigotry requires actions. The fact that those actions are based on religious belief does not provide an excuse. "… The act of civil disobedience that we're advocating – and this is a coalition of pro-family groups from across the country – is that parents will do this one really easy thing: keep your kids home from school on Day of Silence," she offers. "They don't need to be present for more indoctrination." Even though Higgins' suggestion is technically not a "walkout," she says those who want to know more can go to DOSWalkout.net. In years past, a Christian response to Day of Silence has been "Day of Dialogue," a campaign sponsored by Focus on the Family and Alliance Defending Freedom. …once in a while, a man wants to date and love another man, or a woman wants to date and love a woman. Most cultures long ago decided this was very wrong. And they made rules against it, for a lot of good reasons (more grown-up stuff). First of all, two men can never create their own child. Neither can two women. And two men kissing-- well, it just doesn’t seem right. That’s because it isn’t! On this day, thousands of public high schools and increasing numbers of middle schools will allow students to remain silent throughout an entire day – even during instructional time – to promote GLSEN's socio-political goals and its controversial, unproven, and destructive theories on the nature and morality of homosexuality. The above is a re-tooling of the promotion of Creationism in public schools. Argue the controversy. The scientific act is that variances in sexual orientation are natural variances of human sexuality. It is not unproven. It is certainly not destructive and it is not a theory on the nature of homosexuality. Most conservative Christians and Jews accept the proposition that the Bible reflects the times in which it was written. The beliefs stated by American Family Association and Illinois Family Institute require biblical literalism. In other words, these good Christians create the need for something that they loathe.